Following in the steps of his previous memoirs, My Command and Not My Will, Chief Olusegun Obasanjo’s My Watch is more than a story of the Obasanjo Presidency told by the man himself. It is a memoir of a lifetime spent in service to country, of a man who has been destined with the watch of his people. In a chapter in the book, the Former President revealed that his first child Iyabo, told him he was going to die in office. 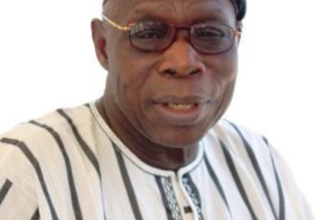 Obasanjo said Iyabo’s position came up when he informed her and 3 of his other children about his desire to contest the 1999 presidential election after he had consulted almost all those that mattered before joining the presidential race while in New York. Obasanjo said it was ironic that Iyabo became a senator during his tenure, and she was before then a commissioner in Ogun State.